You are here: Home / Mens Health / How Does A Diet High In Saturated Fat Affect Aggressive Prostate Cancer? If you’ve never given much consideration to your diet, now might be a good time to take a serious look at what you’re eating. According to a recent study on aggressive prostate cancer and diet which was conducted by Emma Allott of the University of North Carolina at Chapel Hill. She says that your diet plays an important role in whether prostate cancer is aggressive or not. Specifically a diet which includes foods that contain large amounts of fat from dairy and meat. 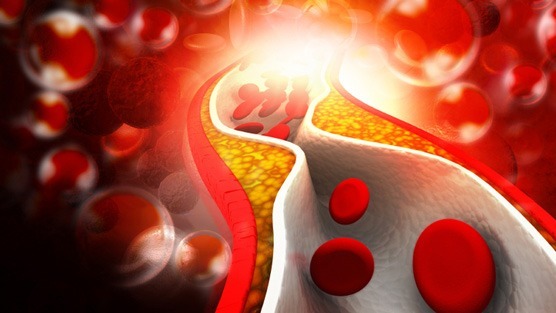 The increased risk tied to saturated fat and cholesterol was greater for the prostate cancer patients who had not been taking cholesterol-lowering statin drugs. researchers report in the journal Prostate Cancer and Prostatic Diseases. To explore the relationship between prostate cancer and fat in the diet, researchers studied data on 1,854 men with newly-diagnosed prostate cancer, including 321 men who had been diagnosed with highly aggressive prostate cancer, which was about 17% of the population study. In addition, all of the men involved answered several questions about their lifestyle which included demographics such as age, dietary habits, medications they were taking, and activities they engaged in. When calculating the levels of saturated fat in each man’s diet the research team discovered that those with more aggressive forms of prostate cancer had higher levels of saturated fats than polyunsaturated fats. The team also looked at the cholesterol levels of each man and whether or not they were taking any cholesterol-lowering medication, and found that in caucasian men cholesterol intake was tied to a higher risk of a more aggressive prostate cancer. Results showed that the men who consumed more calories in general were at greater risk for aggressive prostate cancer, and those who had more saturated fats in their diets were also more at risk for the aggressive form of prostate cancer. For the men with prostate cancer, whose diets were high in saturated fats, had a 51% greater risk of aggressive prostate cancer. For men who weren’t taking statins, the risk of highly aggressive cancer was increased by 71% with the diets highest in saturated fat, only a 16% risk increase in men using statins. The research findings show that choosing a diet high in saturated fat not only affects cardiovascular health, but the risk for developing prostate cancer as well. “Controlling dietary saturated fat content may be important not only for cardiovascular disease prevention and overall health but also for aggressive prostate cancer prevention,” said lead study author Emma Allott.